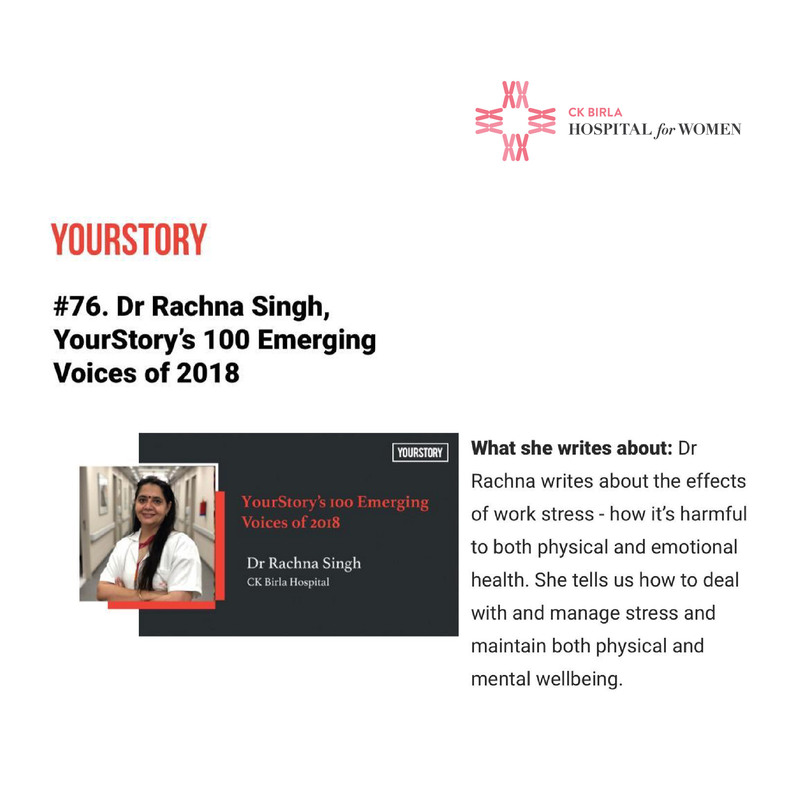 Dr Rachna writes about the effects of work stress – how it’s harmful to both physical and emotional health. She tells us how to deal with and manage stress and maintain both physical and mental wellbeing. Her Story:Dr Rachna Singh is a doctor in the Obstetrics and Gynaecology department at CK Birla Hospital. She has over 15 years of experience with corporate private sector hospitals of repute including Paras and Max Hospitals. She has also worked with the Mount Elizabeth Medical Centre, Singapore. Her areas of interest include critical care obstetrics; laparoscopic gynaecological surgeries, menopausal health, and adolescent health.